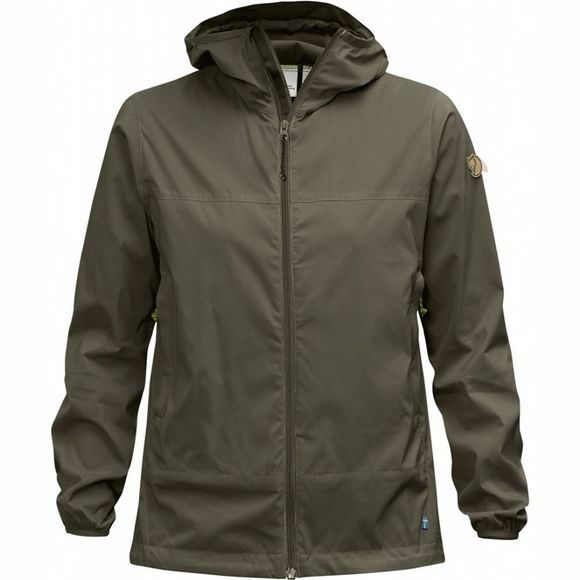 A practical wind-breaker for summer hiking in lightweight, wind-proof nylon fabric. Ideal as an accompanying garment for day trips in case chilly winds suddenly breeze in and lower the temperature. It is lightweight and can be squeezed into its own pocket and has a close-fitting hood that protects against cold draughts. The minimalist design keeps the weight down, yet the jacket retains all the functionality necessary for you to still enjoy your outing. The hood of the Women's Abisko Windbreaker Jacket can be adjusted with the drawstring and the front zip has an inward facing protective flap. Large hand pockets with zips and an inside pocket that doubles as a self-stowing pocket. The back end is slightly longer and the bottom edge can be adjusted with the drawstring. Cuffs with elastic piping.